UK-born keyboard player and producer Paul Hardcastle topped the UK charts in the mid-80s with an electro-pop tune about the Vietnam War and post-traumatic stress disorder entitled 19. Since several years he is recording with great success in the smooth jazz genre following his own music formula. He is artist on the label Trippin ‘n’ Rhythm, a new home for smooth jazz artists like Tim Bowman, Cindy Bradley, Oli Silk, U-Nam, Gregg Karukas, Jaared and Sekou Bunch. Respectable owner of this label is Les Cutmore. With his well-developed and distinctive sense for everything beautiful and economic trade he discovered the world of Holiday Jazz. Featured artists on the album The Very Best of Christmas are, you guessed it already, the above mentioned artists, Paul Hardcastle and a combination of them called the Trippin’ Allstars. The album presents typical Christmas hymns like Santa Claus Is Coming To Town, Winter Wonderland and more. Musical guests includes Ray Parker Jr., Dave Koz, Michael Lington, Eric Marienthal, Eric Darius, Jim Culbertson and Sheldon Reynolds. The band consists of Lenny Castro, Chris Miskel, Lamar Jones, Eddie Miller, Michael Stever, Rob Schaer, Nick Lane, Wayne Bruce and Marqueal Jordan. Get a sneak peak of the new album at Brian’s website. 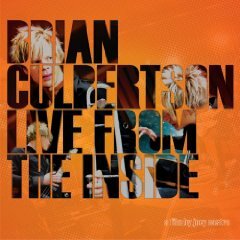 Live from the Inside is scheduled for release on November 10, 2009 and available at Amazon. Playing alto, soprano, and tenor saxophones, Phil Walker is a solo artist from the Central Valley of California. His 2nd CD release Passion Thing has 7 original tracks and 3 covers which are a reflection of his greatest musical influences such as the Rippingtons, Dave Koz and David Sanborn. Musicians included on this album are Kim Stone and Dave Hooper of the Rippingtons, Steve Oliver, Richard Smith and Allen Hinds. Also featured is drummer Pat Ready, percussionist Jo Pusateri, Chris Tedesco – flugal horn & trumpet, Tim Redfield – keyboards, and Wendell Kelly – trombone. CD Produced by Phil Walker and Tim Redfield. Executive Producers Phil Walker, June Glennon, Brad Kious, and Don Sharp. Welcome Passion Thing at CDBaby. Yuletronica puts an original new spin on instrumental versions of holiday favorites, like “Silent Night”, “We Wish You A Groovy Christmas”, “The First Noel”, “Auld Lang Syne” and 5 more. Tastefully executed nylon and electric jazz guitar melodies and improvisations are supported by smooth virtual instruments. 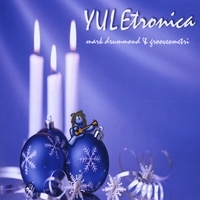 Yuletronica provides a contemporary accent to the holiday season, whether for personal enjoyment, as a soundtrack to holiday gatherings, or in a retail business environment. Aficianados of smooth jazz and R&B music are sure to enjoy this project for many Christmases to come. Celebrate your Christmas at CDBaby. 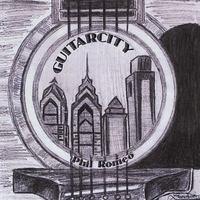 Born and raised in South Philly, guitarist Phil Romeo has been playing in and around the Philadelphia area for over twenty five years. Phil received his Bachelors and Masters Degrees in Music Education from Temple University. He studied guitar, piano and jazz improvisation. Some of Phil’s teachers included classical guitarist Peter Segal, jazz saxophonist Michael Pedicin Jr. and Philly’s legendary guitarist Joe Sgro. For nearly twenty years, Phil has worked as a music teacher in the Philadelphia public school system. Currently he teaches at Bryant School and works with students from kindergarten thru the eighth grade. Phil also teaches guitar and piano at his home studio. For information about studying with Phil, visit his website at www.philipromeo.com and don’t forget to listen to his new album at CDBaby. A new saxophonist is on the rise in contemporary jazz. 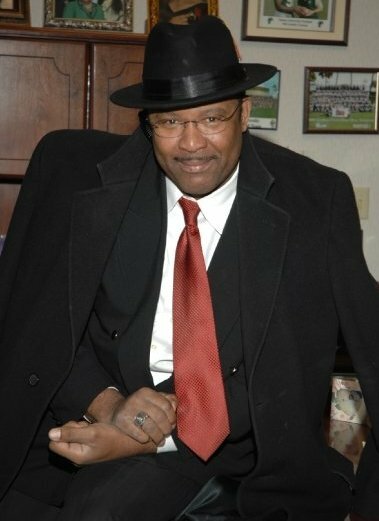 Hulon, who brings a fresh perspective on jazz with old-school style, will be releasing his debut CD, First Impressions. Produced by Jeff Kashiwa, this CD promises to be a delightful experience with hot grooves and romantic charm. First Impressions, is scheduled for release in early 2010. ..:: Source: Cheryl Hughey Promotions ::.. The Right Time is here and now! These are the words that drive award winning Smooth Jazz artist Rob Tardik. His newest album is a personal statement and musical glimpse into his current life’s musical motion, direction and how he shares his passion for music and the guitar with the world. Expect Rob’s smooth guitar work to soothe your soul and claim his place as a new fresh face on the Adult Contemporary and Smooth Jazz music scene. Rob is destined to capture plenty of attention with his fantastic new musical offering! The Right Time includes a lively balanced mixture of 12 tasty instrumental tracks featuring Rob and a stellar cast of musicians he has assembled for this CD that brings back that feel and interaction of a real band working their musical magic together as one sonic cohesive unit! The CD features nine new tracks and three off his last CD which have been re-massaged thoroughly to capture the excitement of Rob’s music with the melodic addition of saxophone player Carson Freeman and the lush piano work of Davor Jordanovski. Songs like “That’s a Strut”, “Smoothy” and “You Know What I Mean” all pulsate with this new musical chemistry that takes Rob’s music to another level. New tracks like “Crusin”, “Frame of Mind”, “Bounce” and the CD’s title track “The Right Time” further reinforce Rob’s ever tasteful melodic ear and as always is highlighted by his trademark liquid smooth guitar work! Finally the CD’s last track “Waiting for Rain” a beautiful, serene song about personal growth that captures Rob’s passion for the nylon string guitar with its intimate finger style guitar playing. This song is destined for a future movie soundtrack! 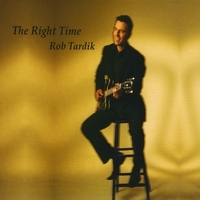 With the new release of The Right Time, Canadian born Rob Tardik is poised to make a musically infectious return to concerts and radio worldwide and further establish himself as a wonderful new growing artist in the adult contemporary music scene and continue to support his passion for the guitar and performing live music for audiences everywhere! It’s The Right Time at CDBaby.